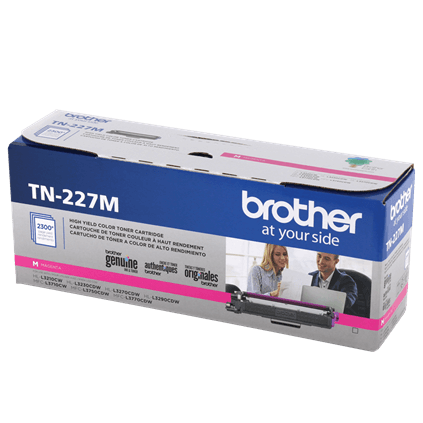 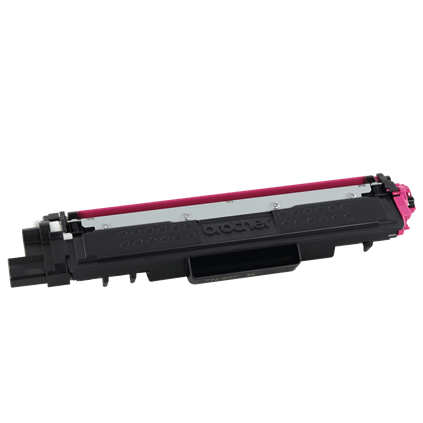 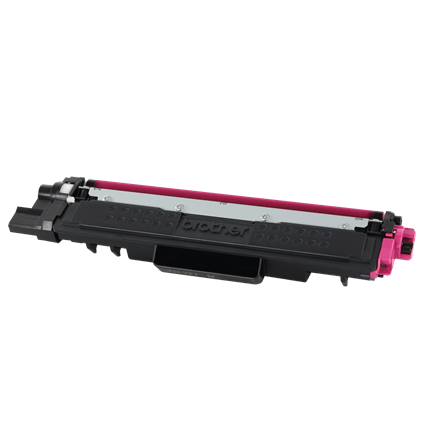 Brother Genuine TN-227M High Yield Magenta Toner Cartridge. 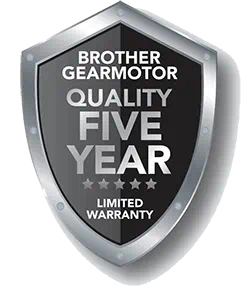 Brother Genuine toner produces superior laser quality results that withstand the test of time. 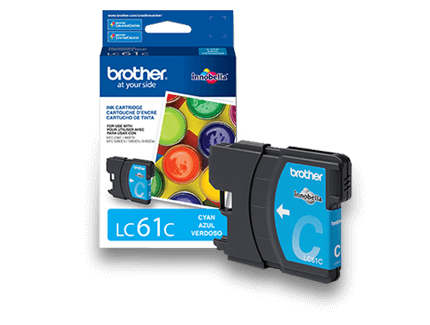 Brother offers an environmentally responsible way to dispose of Brother Genuine cartridges. 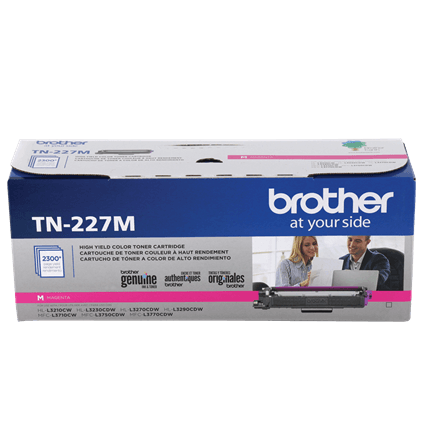 Visit www.brother-usa.com/environment for more information. 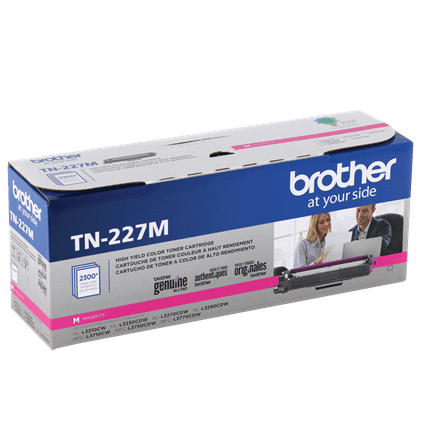 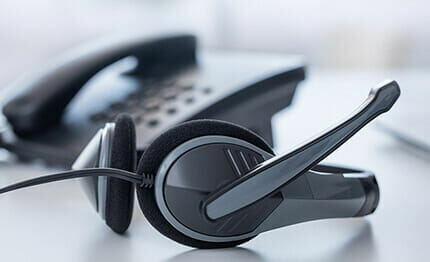 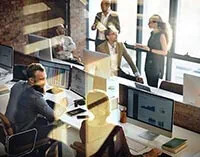 For use with Brother printer and all-in-one models: HL-L3210CW, HL-L3230CDW, HL-L3270CDW, HL-L3290CDW, MFC-L3710CW, MFC-L3750CDW and MFC-L3770CDW. 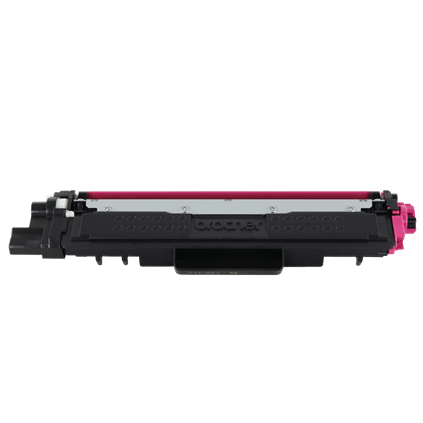 ‡Yield: Approximate cartridge yield in accordance with ISO/IEC 19798 (letter/A4).